Cinclus Cinclus is a unique opportunity for your pupils to experience a critically acclaimed jazz project for children created and performed by musicians from the UK and Norway. The children get the rare chance to interact with and direct a group of top musicians through an improvised performance, while at the same time experiencing high quality live music. This is being offered to all primary schools in Morecambe and Lancaster for just £100, which covers the live performance at More Music in Morecambe plus a follow-up workshop in your school. (Places are limited). 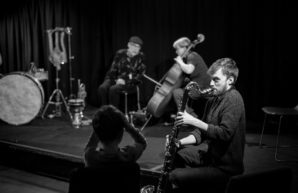 Cinclus Cinclus is an improvised jazz concert for children created and performed by cellist Maja Bugge (NO/UK), percussionist Terje Isungset (NO) and clarinetist Matt Robinson (UK). The musicians use melodies and themes as starting points to invite the children into a speechless conversation. The audience’s actions and sounds completely shape the performance enabling the children to be both participants and listeners. The project has had outstanding feedback from critics, children and teachers. In October 2019 it will have its first UK appearance in Morecambe and Lancaster hosted by More Music. 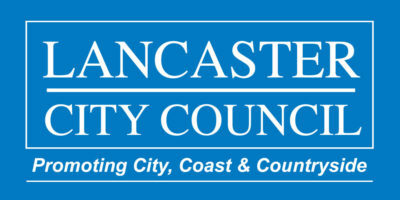 The project is co-produced by More Music and supported by Arts Council England, Lancashire Music Hub, Lancaster Jazz festival and Vest Norsk Jazz centre (NO). Fee: £100, this includes the performance at the Hothouse and a follow up workshop in school. We can take up to 100 children per performance.